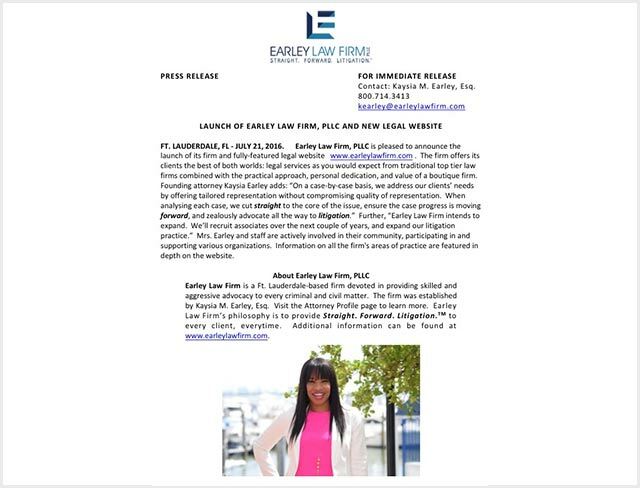 Press Release forthe Earley Law Firm, PLLC. 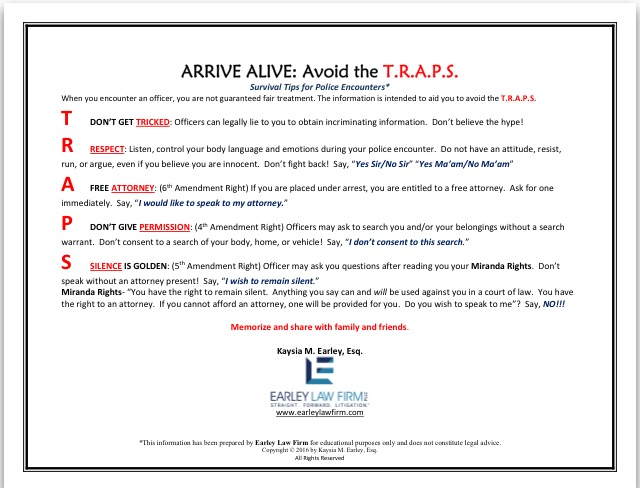 You have rights during a traffic stop or any police encounter. Learn what your rights are and use them! Click below to get a copy of T.R.A.P.S. © 2018 Earley Law Firm: The material and information contained on these pages and on any pages linked from these pages are intended to provide general information only and not legal advice. You should consult with an attorney licensed to practice in your jurisdiction before relying upon any of the information presented here. The acts of sending email to this website or viewing information from this website do not create an attorney-client relationship. The listing of verdicts, settlements, and other case results is not a guarantee or prediction of the outcome of any other claims. © 2018. EARLEY LAW FIRM, PLLC. All Rights Reserved.